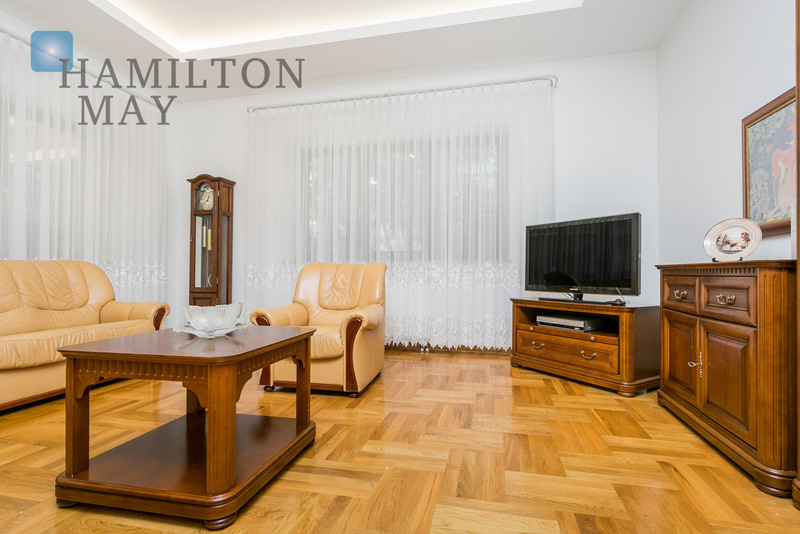 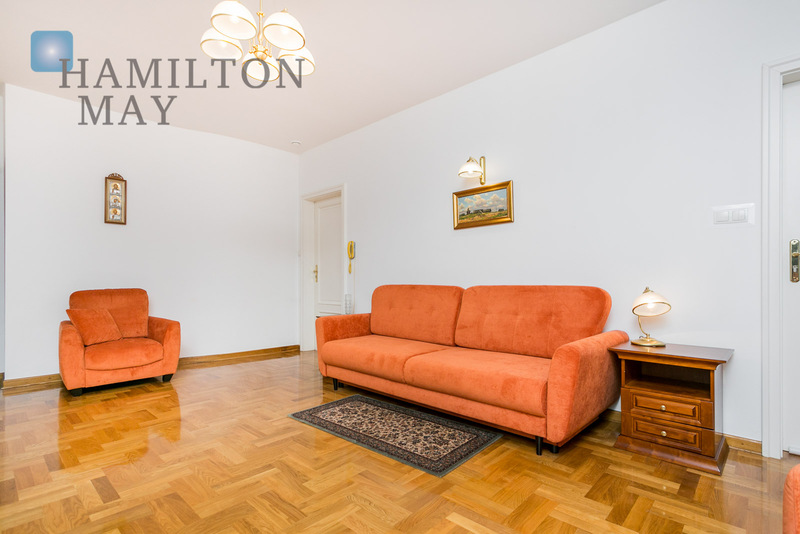 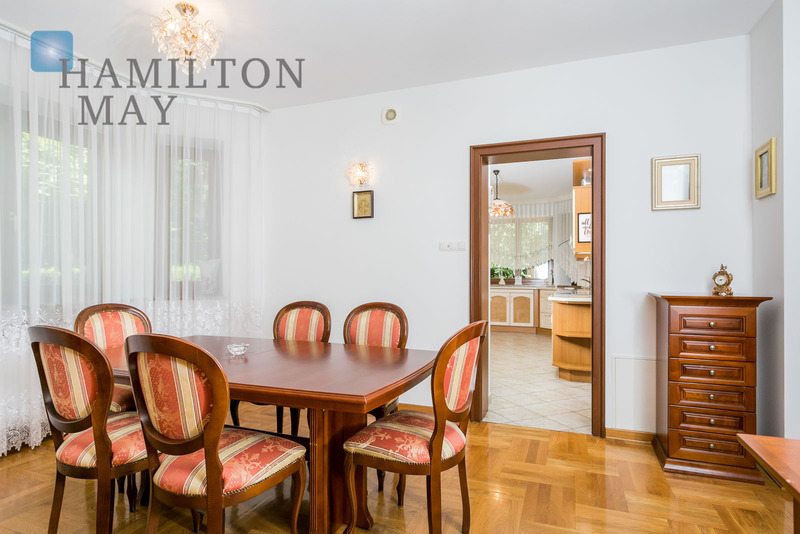 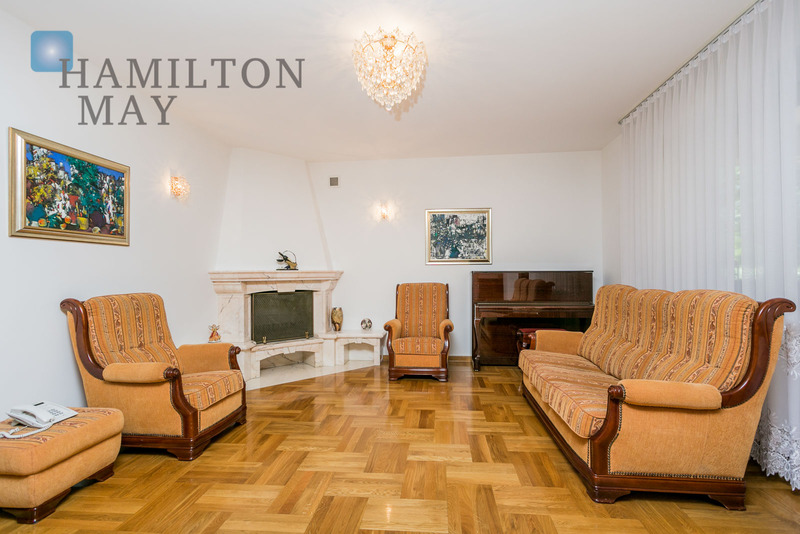 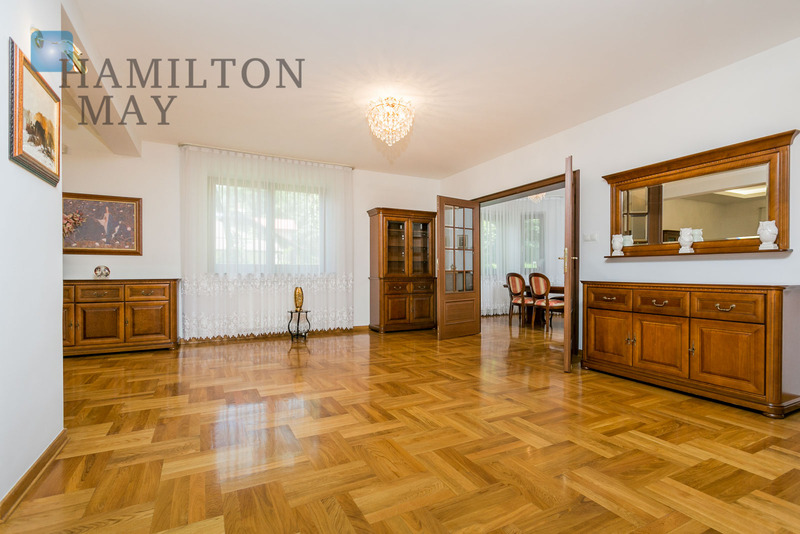 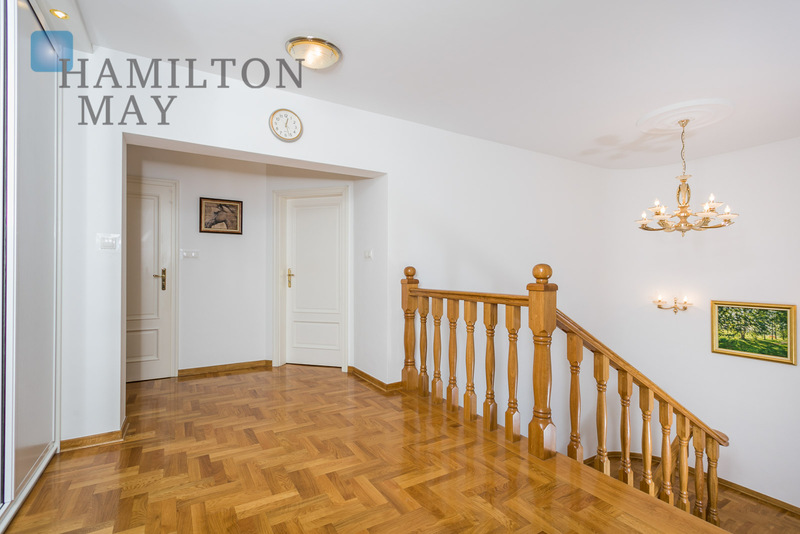 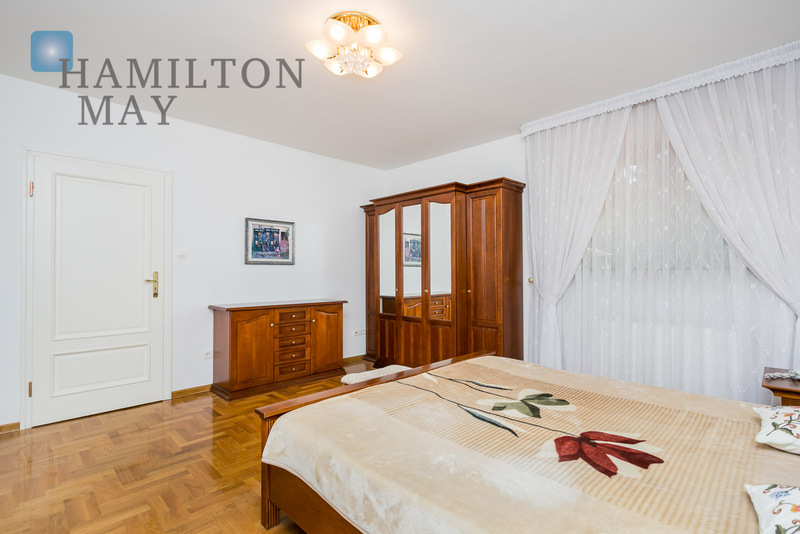 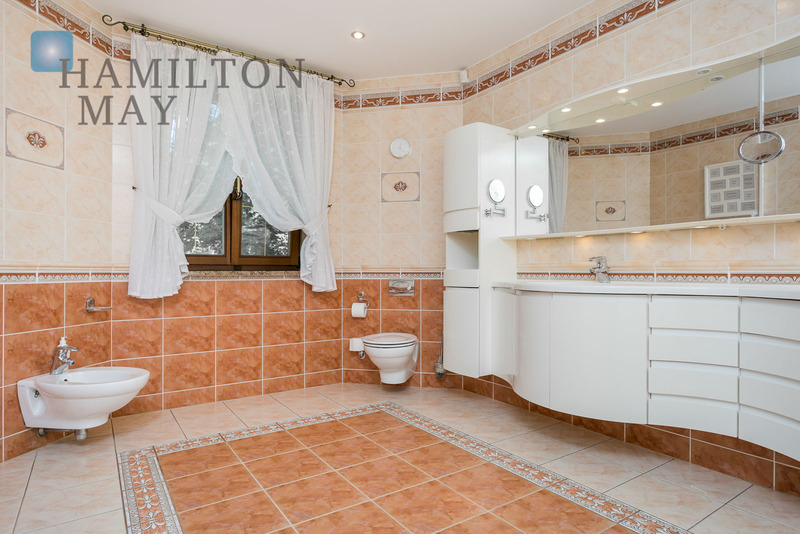 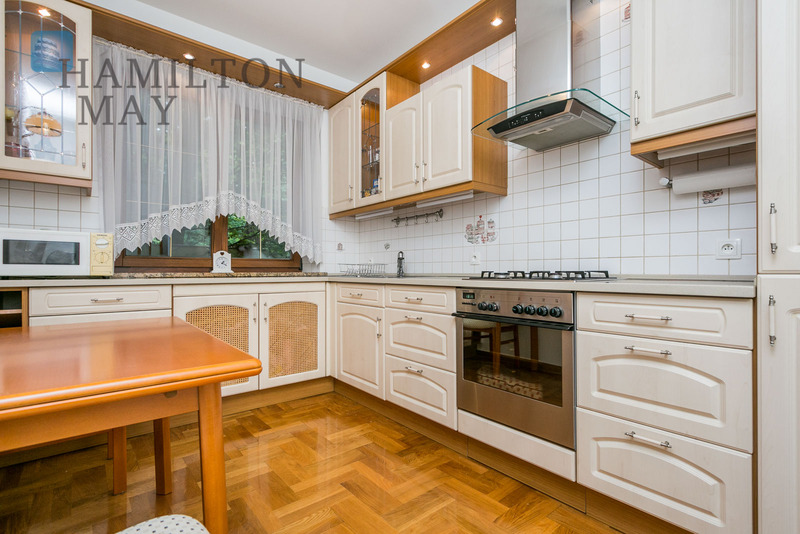 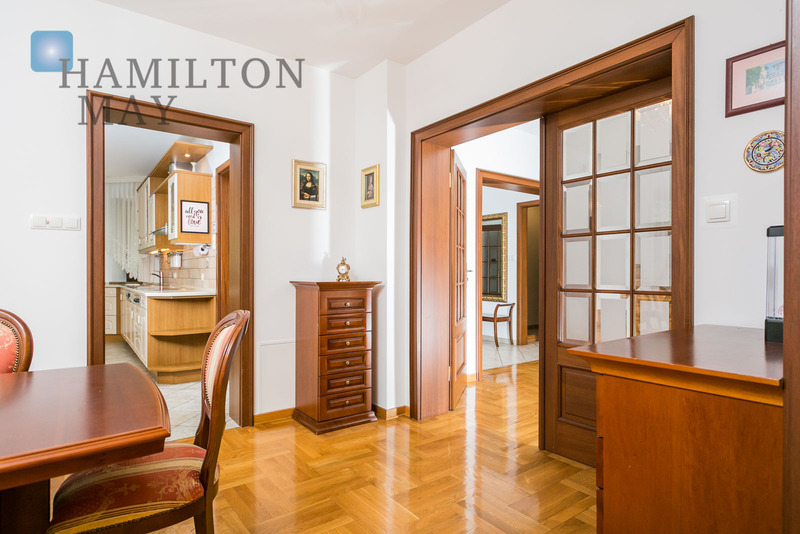 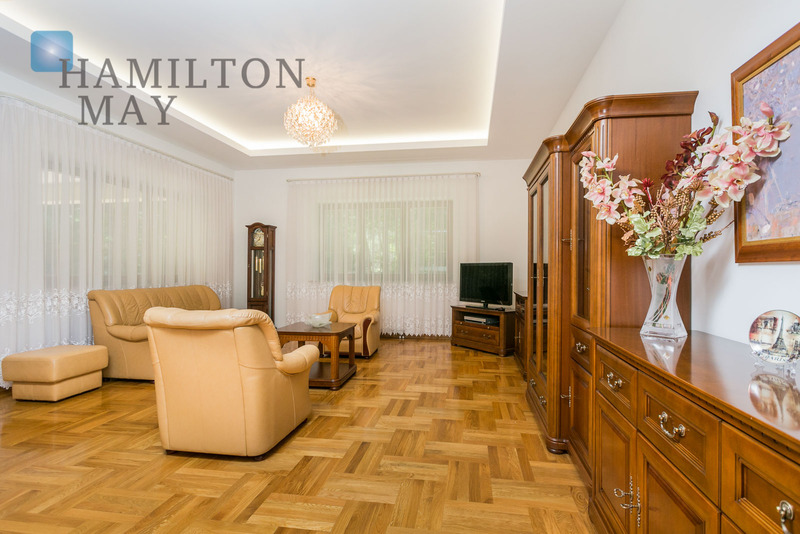 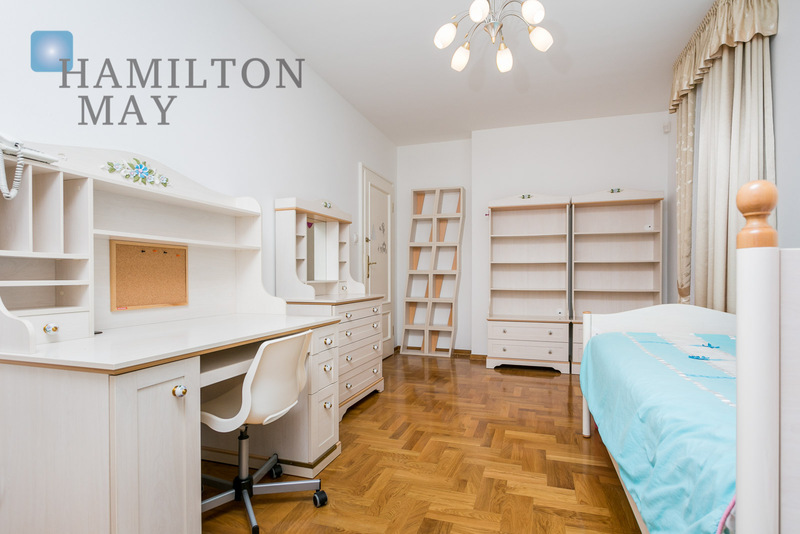 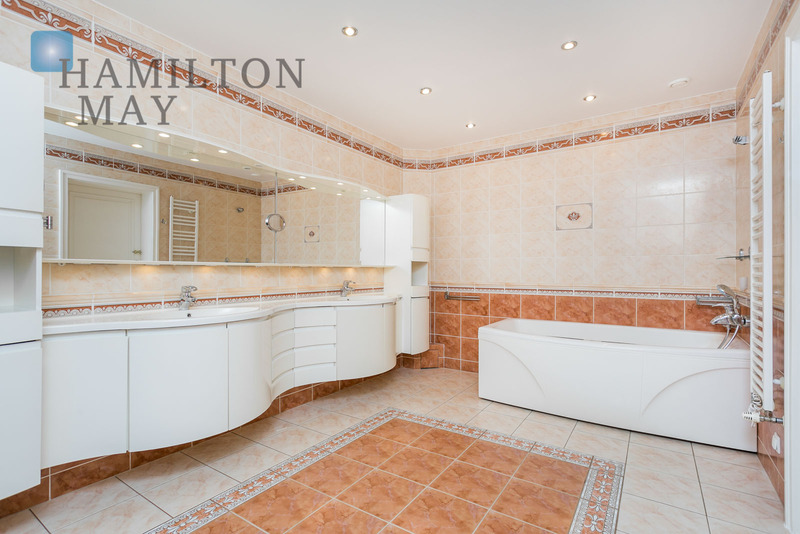 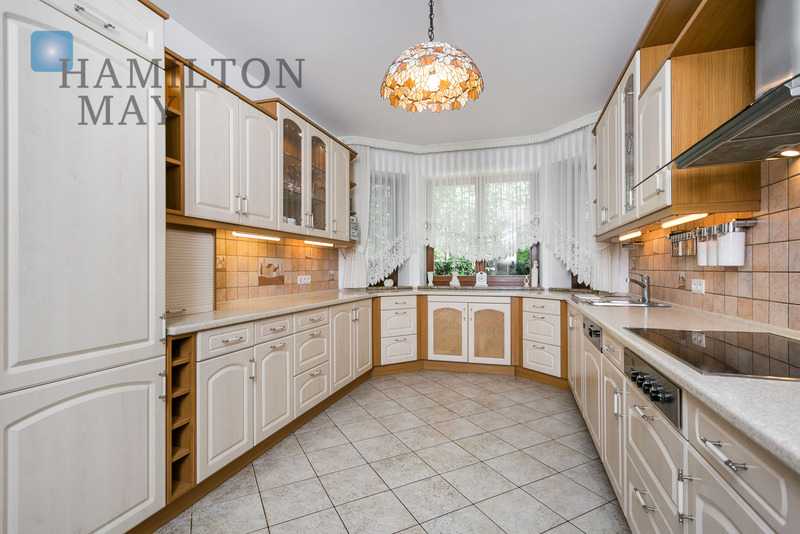 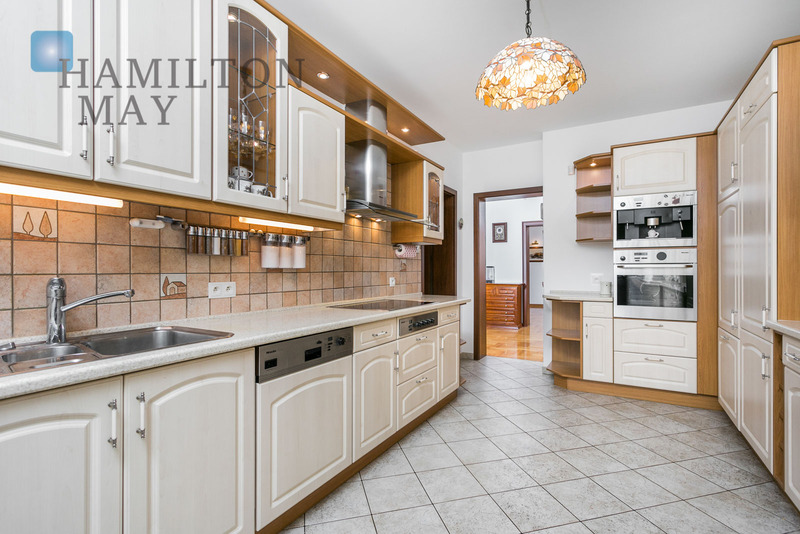 Hamilton May is pleased to present a spacious family house offered for sale in Zalesie Górne. 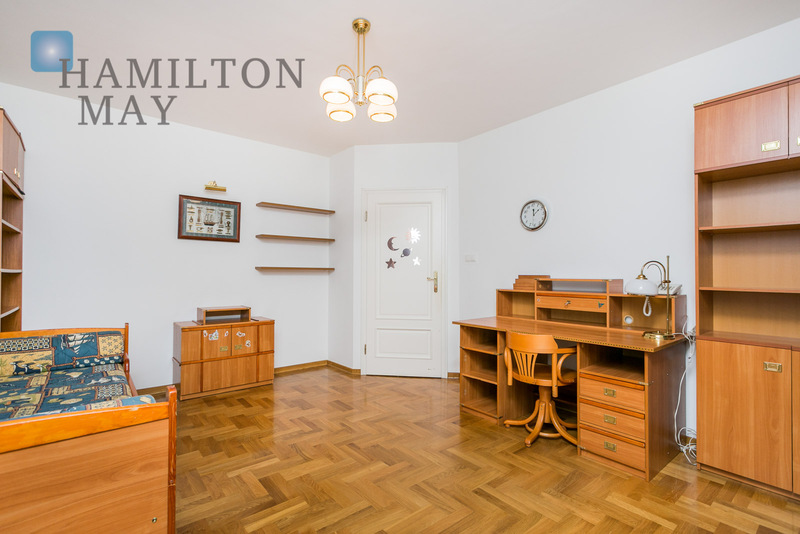 The house consists of a spacious living room with a fireplace and access to a beautiful garden, separate kitchen and dining area, study, hall with built-in wardrobes and separate toilet. 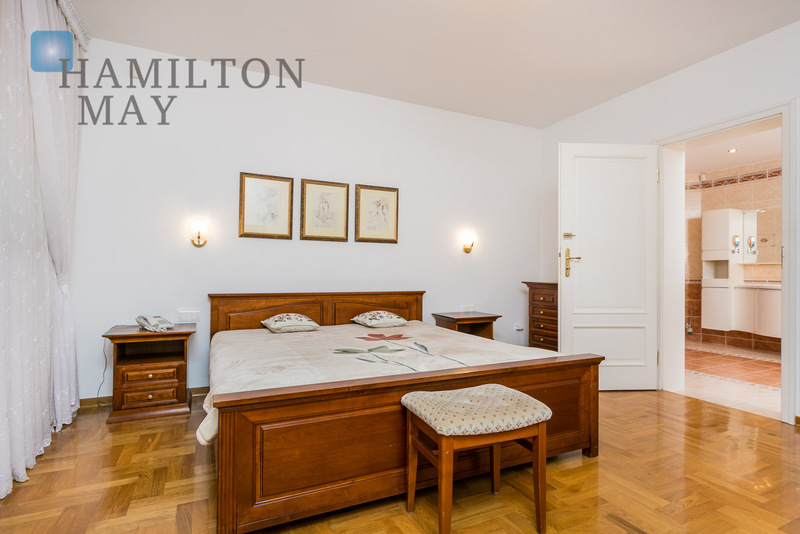 The property's first floor holds: master bedroom with its own bathroom, two guest bedrooms, study, bathroom and hall with built-in wardrobes. 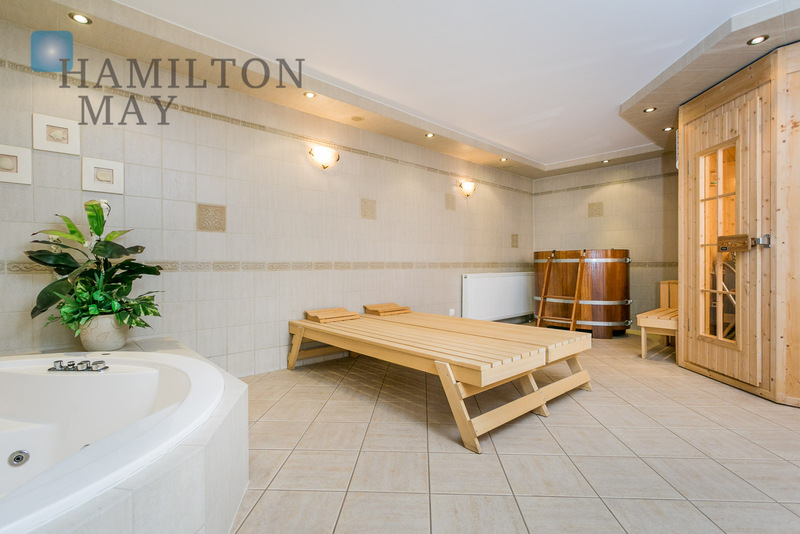 The basement has been equipped with a spa room (with a bathtub and sauna) as well as a laundry room. 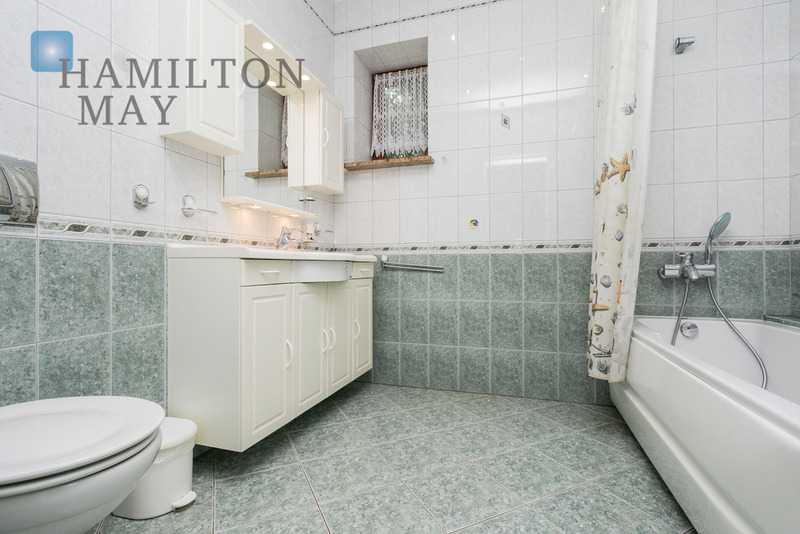 The house includes an independent flat, consisting of a living room, kitchen and bathroom equipped with a bathtub. 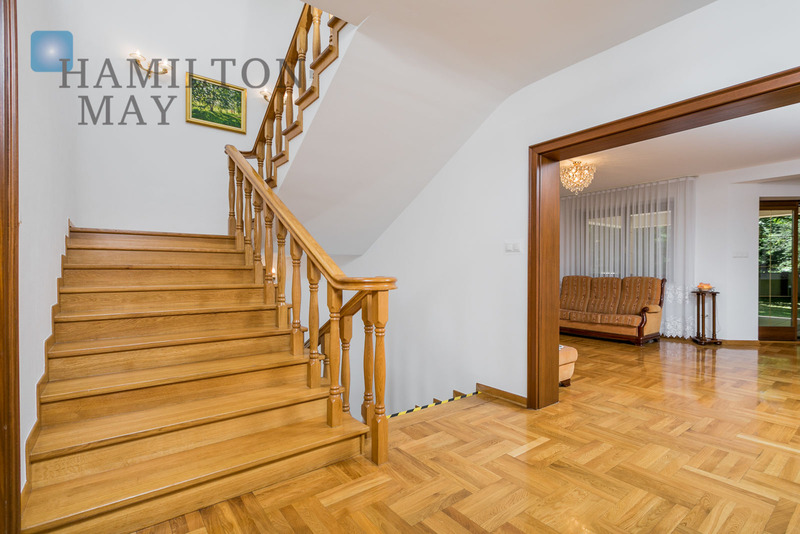 The house comes with a garage for two cars, it is also possible to park outside the property. 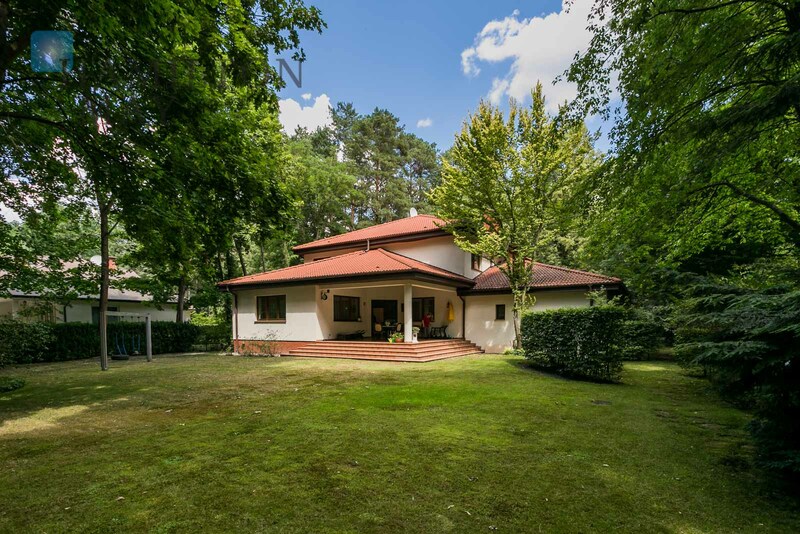 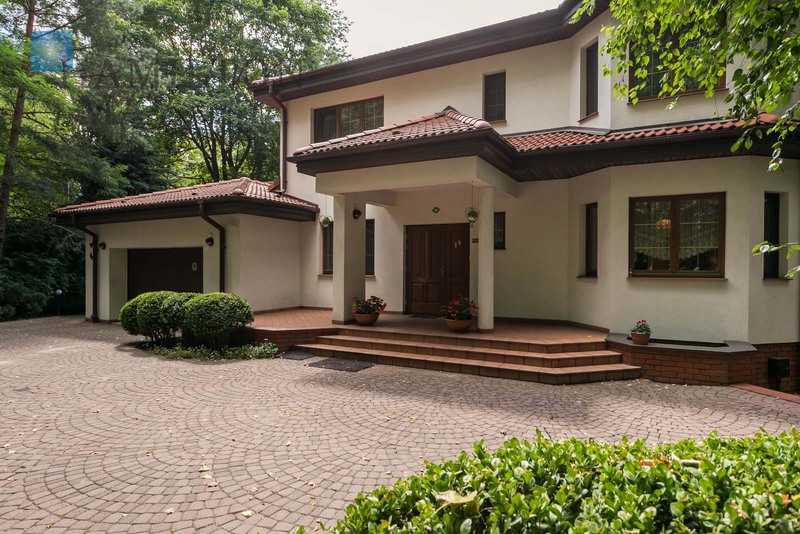 This detached house with an area of 455 m2 was developed in 1998 - it sits on a plot of 1866 m2. 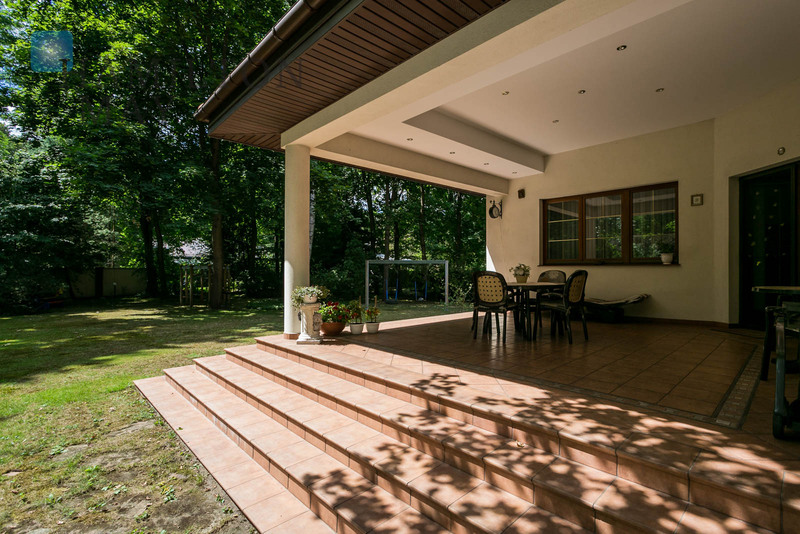 The house has two levels; ground floor with a terrace and upper floor - the basement is present as well. 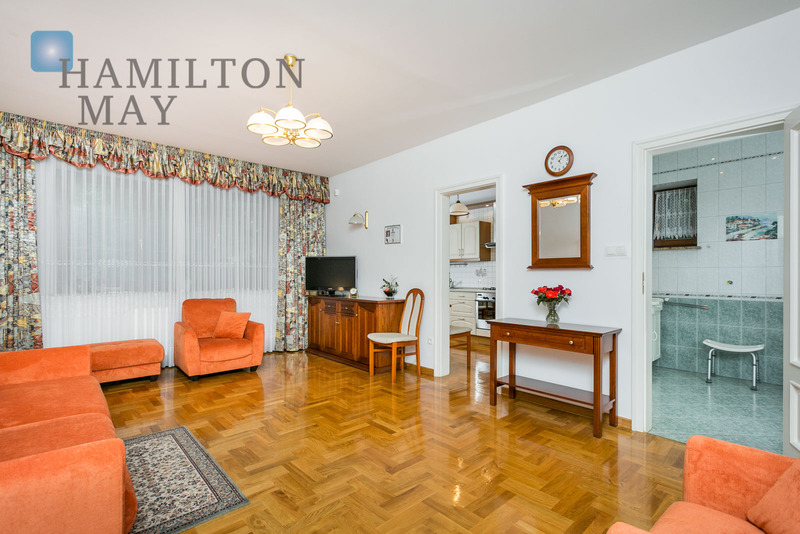 The house is situated in a great location in the center of Zalesie Górne - close to the railway station and surrounded by single-family houses. 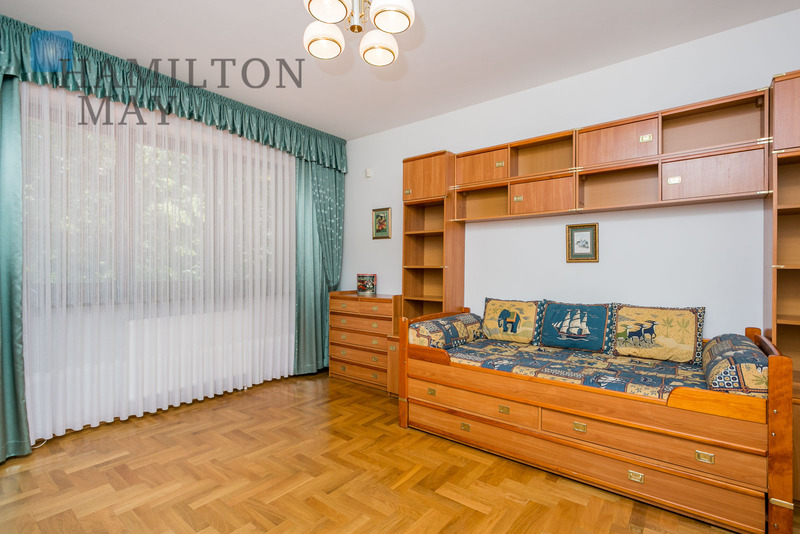 Within a few minutes on foot, there are many shops, along with a kindergarten and school. 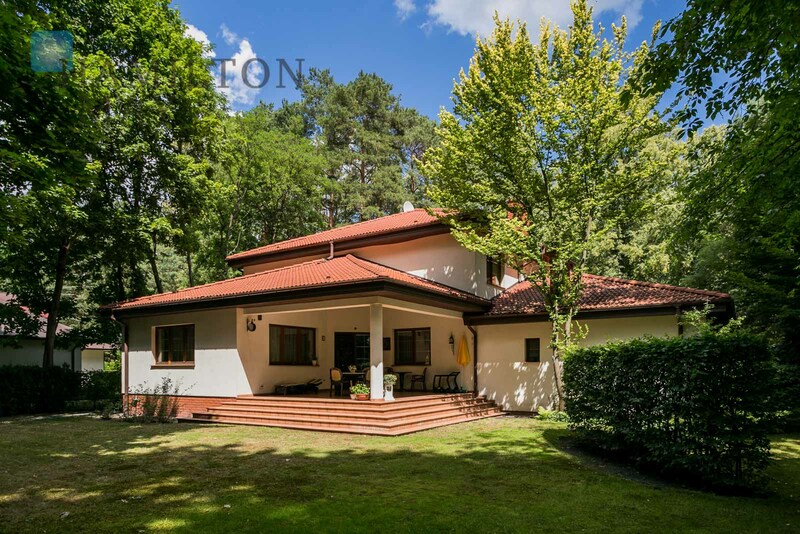 In the further vicinity of the property one will find many recreational areas, pond and the Chojnowski Landscape Park. 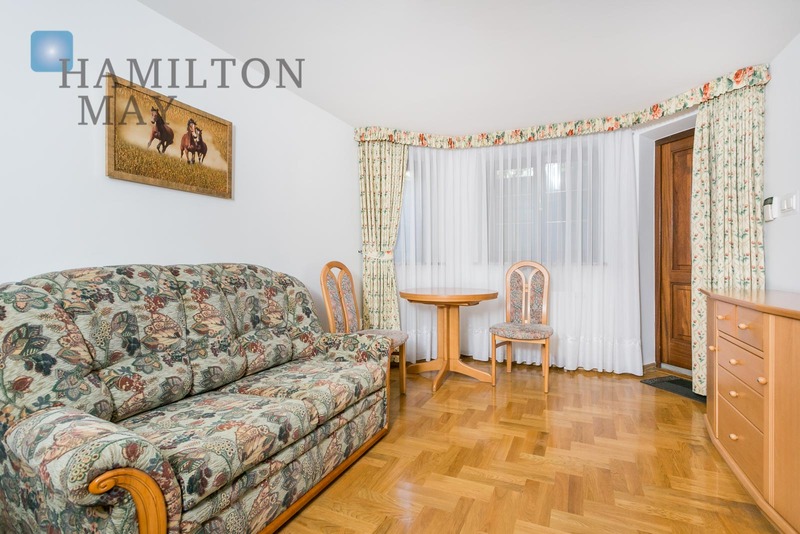 The location makes it possible to live comfortably and relax close to nature. 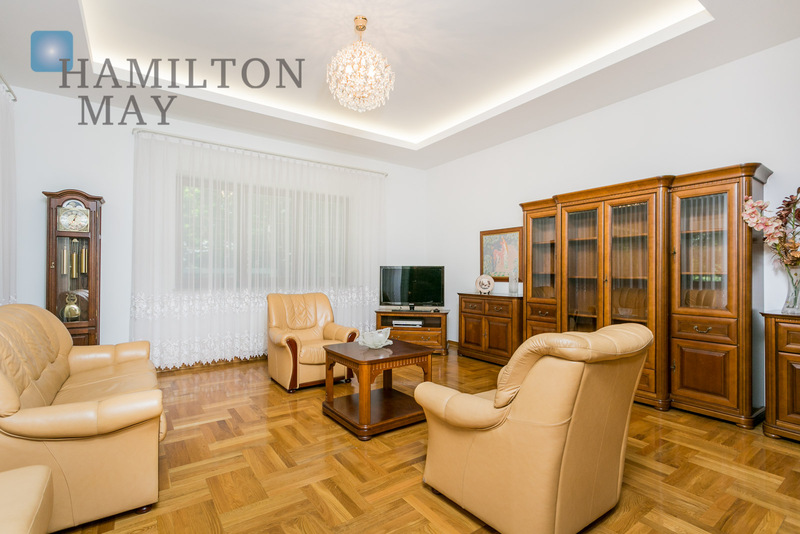 We kindly invite you to contact Hamilton May offices to obtain more detailed information.